Holmarc developed a 532nm laser microscope based on the thermal lens effect induced by a coaxial beam comprised of excitation and probe beams. 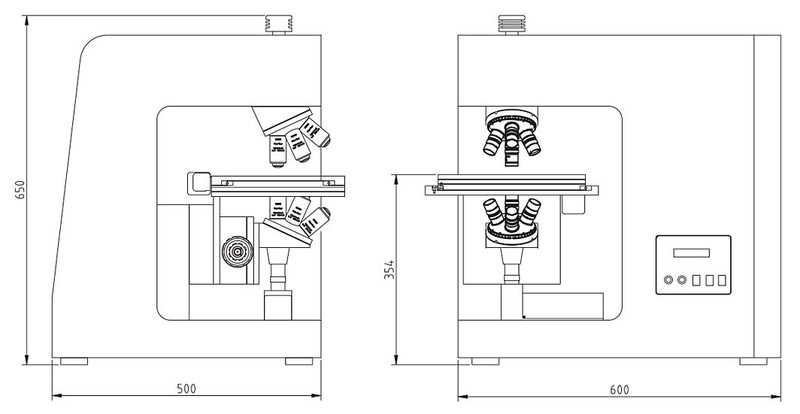 The scheme allows the measurement of absorption factors down to 1.2 × 10−7 in a 0.35 μm3 volume by use of a heating laser power of 200 mW incident upon the sample. Results prove that a 450 nm axial resolution is possible when a water immersion objective lens with a N.A. of 1.2 is used. 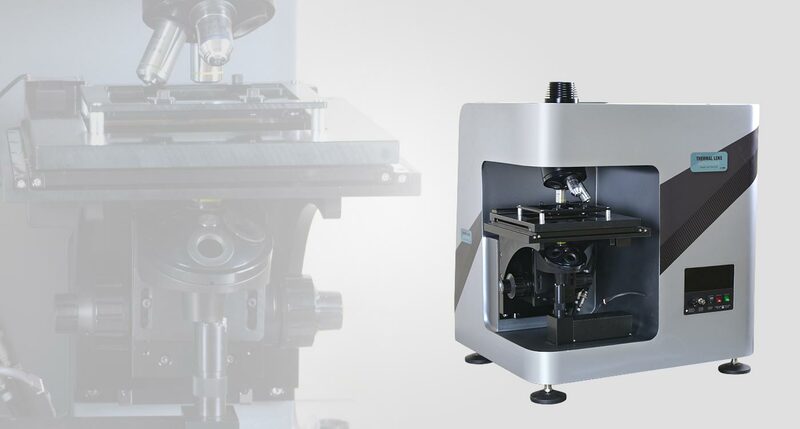 Thermal lensing provides high-sensitivity measurements for thermal and spectroscopic characterization or detection and imaging of low-absorption samples. 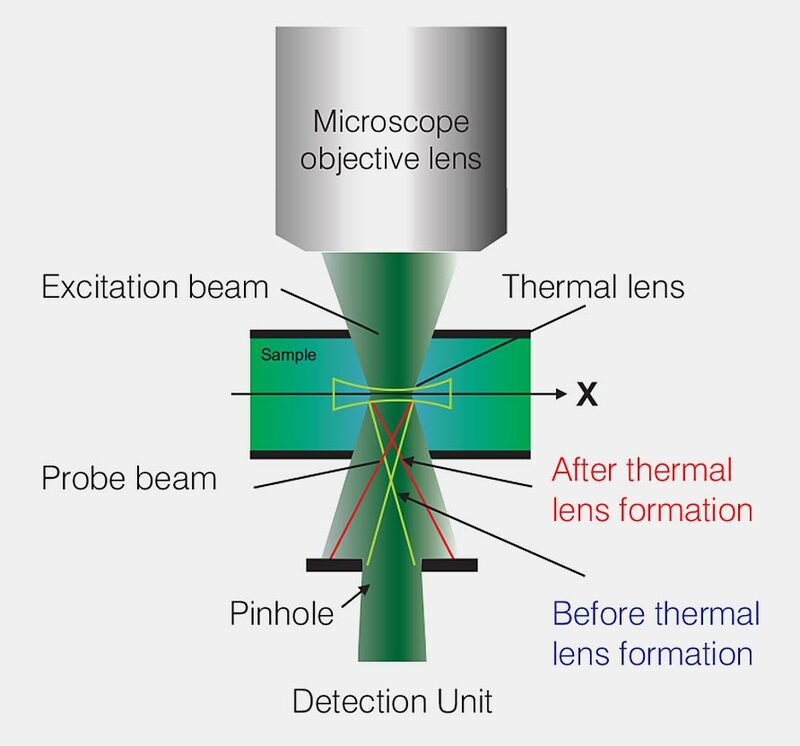 Thermal-lens microscopy combines the high sensitivity of photothermal techniques with the lateral and axial resolution of conventional microscopy. The thermal lens generated by a heating beam induces a change in divergence and beam-waist position of a probe beam that are detected with the help of an aperture placed in the path of the beam in front of a photodetector. With this detection method the signal is maximum when the thermal lens is located at a distance of one heating beam’s Rayleigh range from the probe beam’s waist; it is null when the thermal lens lies in the plane of the probe beam’s waist. Image processing : Background compensation, contrast enhancement & image filtering, particle size determination etc. 200mW 532nm low noise DPSS laser is used as the excitation (pump laser) and 5mW low noise 650nm diode laser used as probe laser. Before entering in to the objective both lasers are pass through a spatial filter and a beam expander for maximum laser spatial and coherence correction. Thermooptical methods make it possible to obtain information on the parameters of a material related to heat propagation (thermal conductivity, heat capacity, refractive index, density, viscosity, etc.) directly from the development of the signal in time after the onset of irradiation.